There are a lot of things people say about social media advertising. Some say it works only for B2C businesses, others that they work only for small ones. Some even dare to say social media advertising isn't effective at all. None of that is true. Social media advertising works! How do I know that? Because there's a long list of stats that prove my point. Don't let yourself be guided by what other people say. Here are 50 of the top stats showing how effect social media advertising really is. Be sure to checkout our Q4'17 social media advertising benchmark report for the latest CPM, CPC, and CTR trends. Facebook ads' popularity and usage among businesses is growing fast. Still, 94% of Facebook pages don't use them, so there's a lot of room for growth. Add images or videos to your ads as they have higher reach and effectiveness. Also, target your ads to mobile, as it takes a big part of most advertisers' budget. That's likely caused by the fact most people use Facebook with their mobile as well as the costs are lower. Last but not least, use ad titles with 4 words and link description with 15 words. If possible, use link ads. 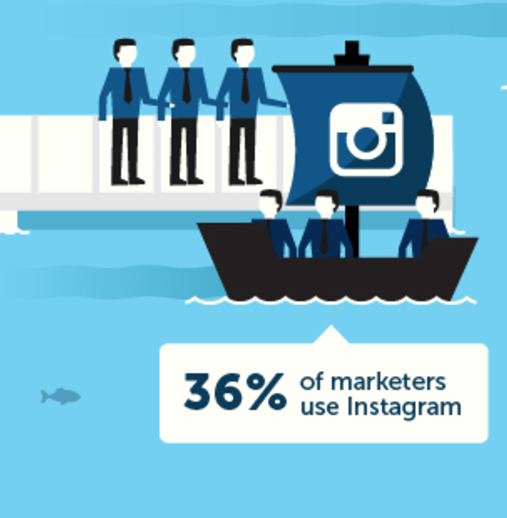 Instagram isn't used as much by B2B businesses, but it's still an effective paid channel that's growing in popularity, especially among big brands. Instagram is a perfect channel if you run an e-commerce store, as most Instagram users tend to act after looking at an advertisement. Also, the average spend per user and the intent of purchase are higher than other social media channels. If you don't run an e-commerce business, Instagram can still be highly effective to increase ad recall. 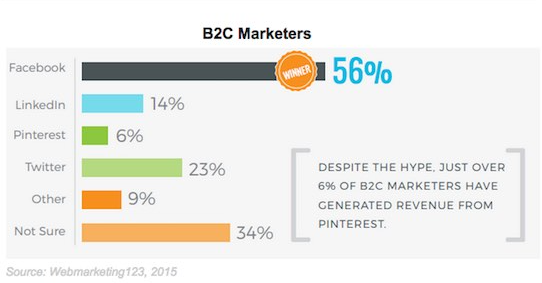 As expected, LinkedIn is used mostly by B2B marketers. For some reason, however, most of these marketers work for larger businesses, while most small business B2B marketers focus on Facebook. Still, if you work for a B2B business, LinkedIn would be one of your safest bets. 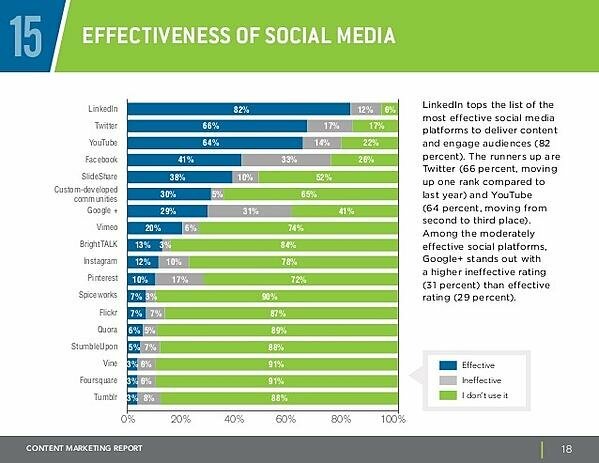 LinkedIn works best for lead generation and its effectiveness rate is the highest of all social networks. 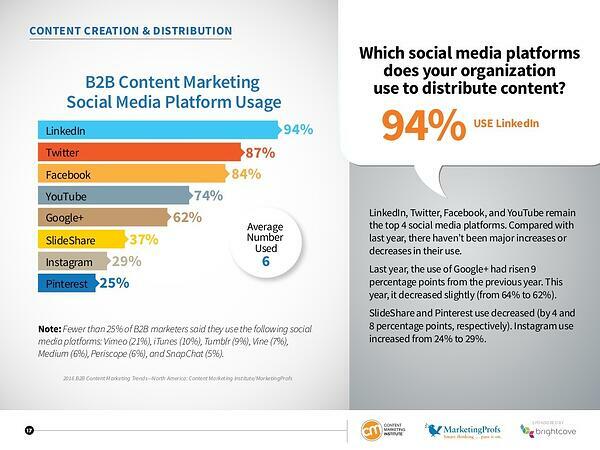 Despite what some may think, Twitter is used by a great majority of B2B marketers. This has to do with its effectiveness to deliver content, which is the second highest among all social networks. 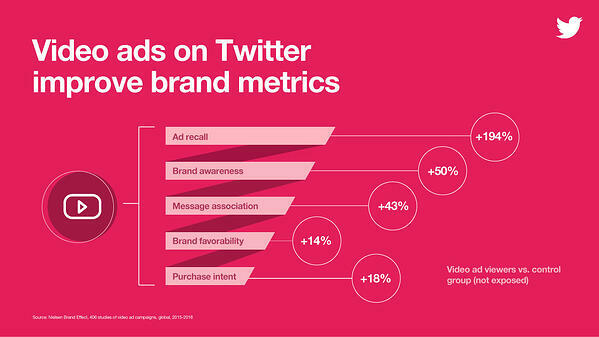 Twitter video ad campaigns drive positive shifts in key brand metrics for advertisers. YouTube is the second largest search engine in the world. If you have video ads, use them on YouTube, even if you work in a B2B industry. Using YouTube with the Display Network to promote your video ads isn't the only way you can foster its power. You should look to partner with influencers to promote your business. Also, instead of trying to make a sale right away, focus on teaching people, which will increase your engagement and relevancy. In this article we revealed the real power of social media advertising. As you have seen, the big five social media networks are highly effective for any kind of business. It's still true, however, that some work best for certain kinds of businesses than others. That's why you need to choose the one that are most relevant to your needs. Now it's your turn. Which of the big five social media channels shown here have you used to promote your business? Which have been the most effective of all?